Allows you to better understand the changing work place and how this effects the overall work place structure. Additionally, you will gain the knowledge, skills and abilities relating to values and self-leadership while demonstrating emotional intelligence. Learn how to track and record all important activities regarding the creation of monetary inflows of sales revenue and monetary outflows of expenses resulting from operating activities. Develop an understanding of restaurant business plans, restaurant profiles, and restaurant operations including control and overall profitability. Learn how to conform to food safety regulations particularly in food and beverage departments within the hospitality sector. Explore why understanding hospitality law underpins the way in which all hospitality organizations conduct their day-to-day business. This course is designed to give you an overview of procedures and practices relating to the concepts of federal and case law. Gain an understanding and theoretical application of the framework for Supervision and the management process. Learn the theoretical application of the role of security and loss prevention in the hospitality industry. You will acquire the necessary skills to implement management policies and procedures as required by the industry. Gain a perspective on how to understand and contribute in a positive and professional way to work with guests and other members of the community who have a disability. Explore the complex relationships between departments, technological advances, and unique front office tools. Learn about guest services in detail along with concepts involving property management systems and related applications. Learn how the housekeeping department functions, how it fits into the complete hotel and its key responsibilities and duties. Develop hands-on practical skills learning Hotellinx, the commercial front office software management system used in large North American and European properties. This will enable you to transfer from a college environment to a commercial environment. Understand the concepts of sales and marketing and gain effective strategies and practical applications critical in today’s hospitality industry. Explore the world of conventions from a property perspective as well as an event planning perspective and learn all aspects of managing events along with personal growth and confidence building activities, team dynamics and motivation. 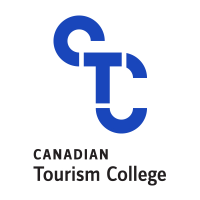 Learn first-hand by touring facilities, meeting industry professional, and considering career options.